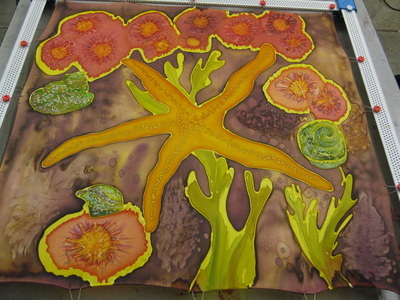 Painting on silk is one of the most exciting creative adventures of my life! 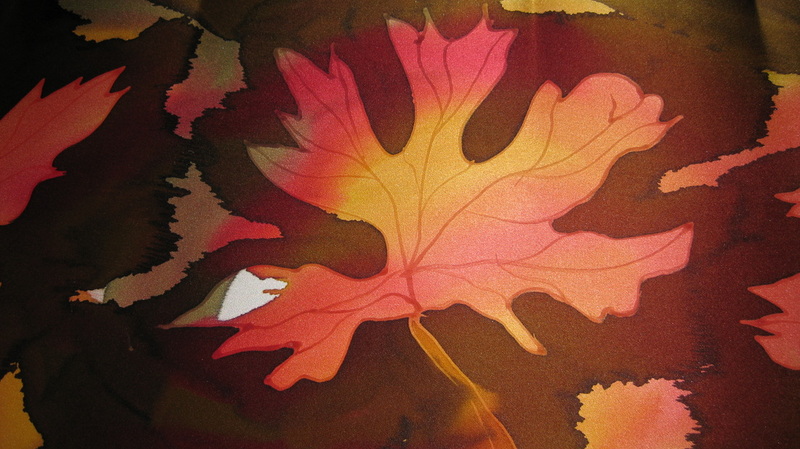 It is a joy to experience the colors flowing onto the silk with so much grace and ease. 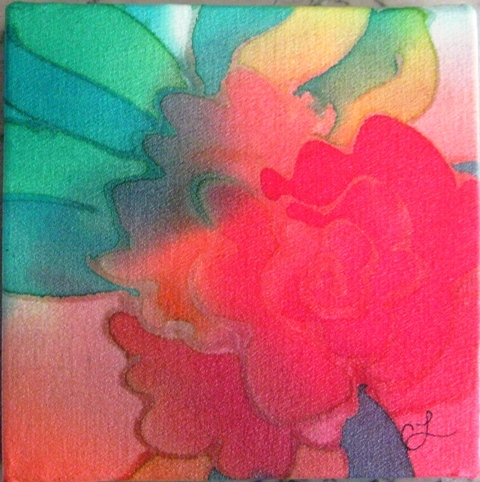 The energy of the colors can be vibrant or soft. 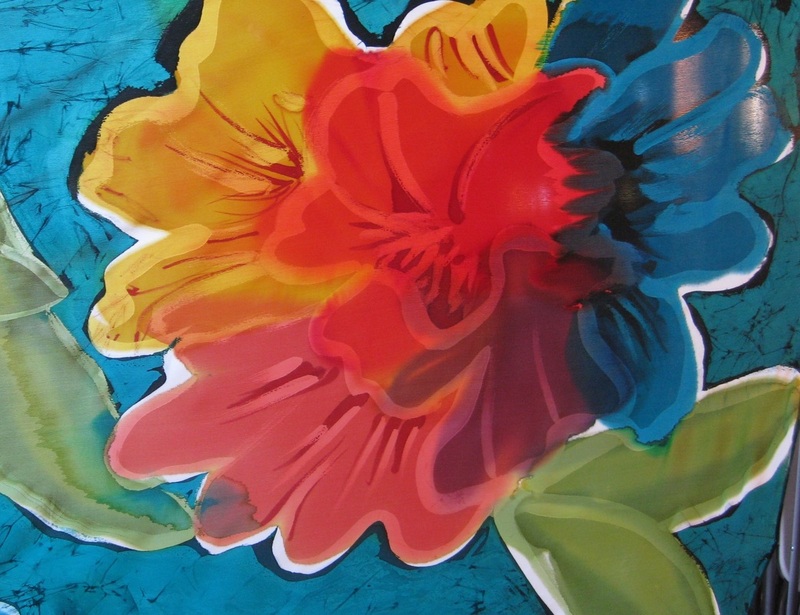 Watch how the colors flow into each other creating even more beautiful combinations than you can imagine. Silk is sumptuous and sensual to paint on. It is also a stronger fiber than you might think. 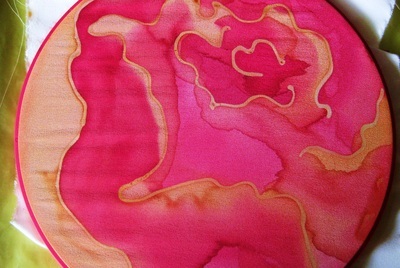 It is easy to care for as it's a protein fiber, like your hair, and can be washed by hand with shampoo. 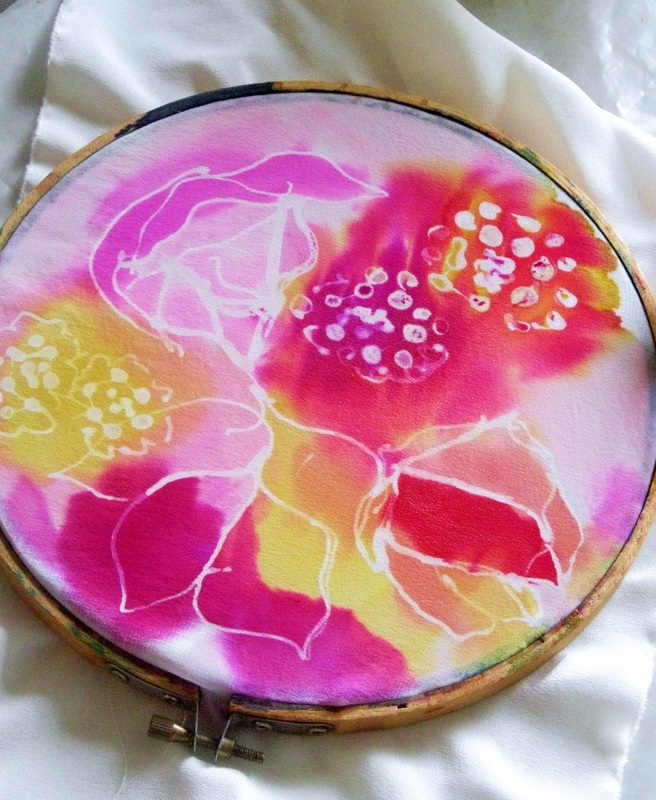 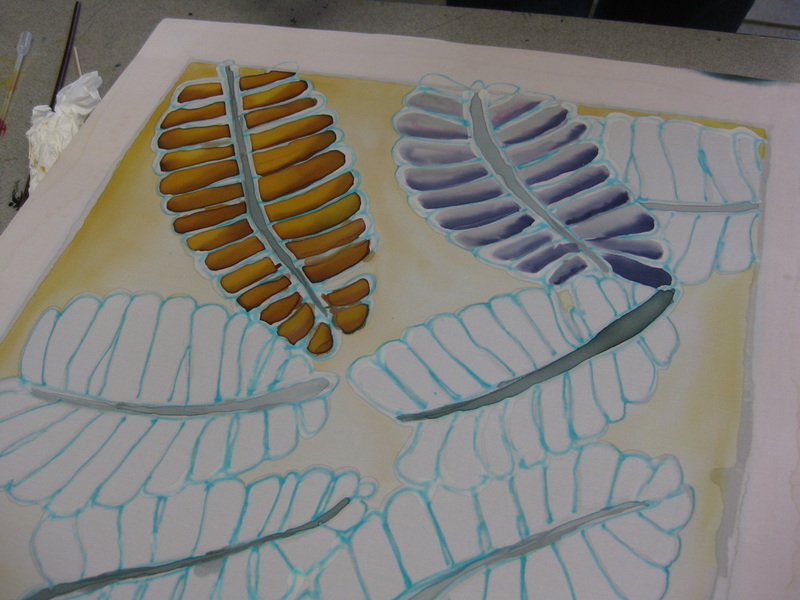 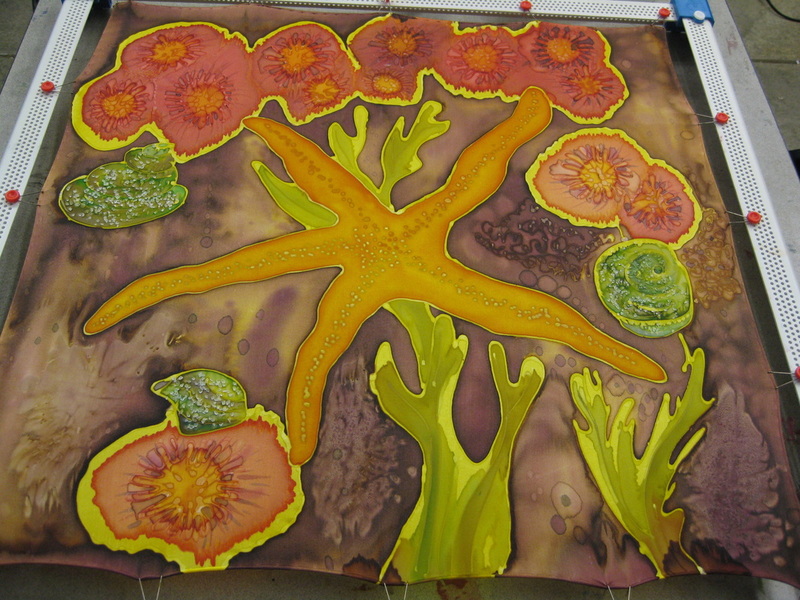 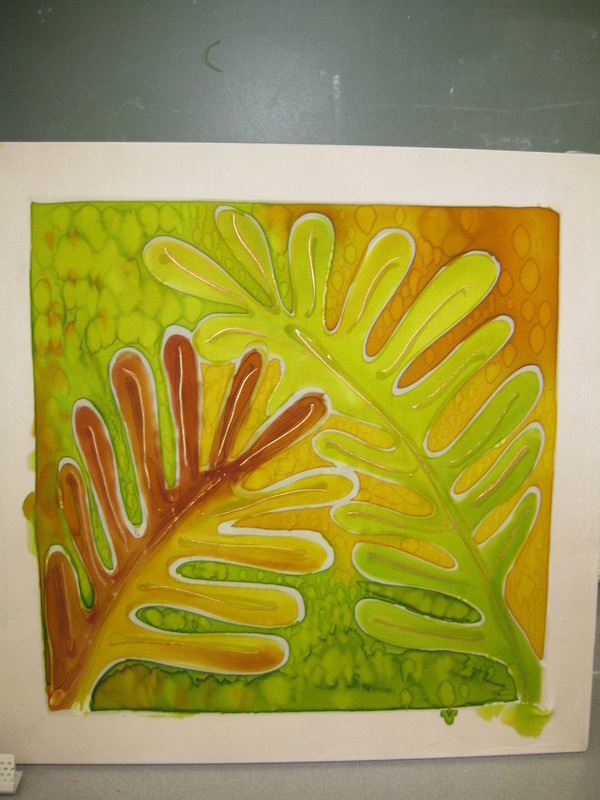 Learn the basics of color mixing and how to paint on silk. 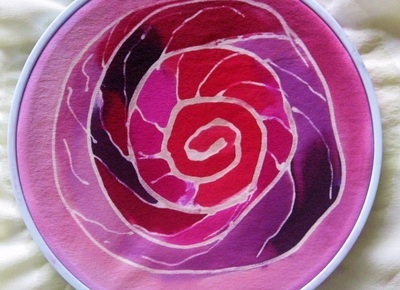 Make a scarf, wall hanging, or altar cloth. Includes your basic supplies and a yummy lunch! 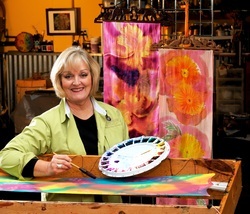 Come for a Creative Weekend in the Beautiful Napa Valley.